There are a wide range of IT issues that businesses have to keep up-to-date with, not least how secure their infrastructure is. There is disaster recovery, data management, and ensuring everything is backed up effectively, not to mention how reliable the service is. Many SMBs are starting to use cloud based remote servers because they are affordable, convenient and flexible. But the question most people want answered is this: Is it safe? There used to be a time, not long ago, when we kept our files ‘safely’ on hard drives. Companies used on site server data storage to keep files and important documents. The problem is that we need ever more storage space and greater flexibility and the old ways just don’t provide everything that we need anymore. Cloud storage is becoming the solution to many problems of data access and storage for a wide range of businesses. * You can access it anywhere and store a lot of data and files. In fact, with the help of the cloud you can conduct your business on any device with something like a virtual desktop. * It comes at a lower cost, freeing up budgets for more important things like product development. You normally pay a monthly fee that can be just for data storage or a more nuanced IT provision like disaster recovery. * You don’t have to worry so much about downloading security updates because it is all handled for you. That means your data is kept safely in a secure environment. * It comes with IT Support that saves you the cost of employing someone full time and paying them a salary. In other words, you just pay for what you need. Moving data from one place to another and trusting your IT operations to a remote server raises a certain number of security issues. How is your data encrypted? Who has the keys? Is your cloud provider sharing your information with third parties? What happens if your cloud provider suddenly stops providing? A cloud service might be operating in a different country and therefore subject to different laws or constraints (or lack of). Even if they are operating in your country there’s no reason they couldn’t suddenly up sticks and move somewhere else, taking your data with them. A lot of these issues arise particularly when businesses are using free services that have to find ways of making money other than from charging for their provision. Neither does using the cloud, with its in built security measures mean that you are safe from hackers – most of the old rules still apply, particularly about having a strong password and changing it on a regular basis. The solution is to choose the right cloud provider that is specifically aimed at businesses. * A monthly subscription that means you only pay for what you get. * Effective backups of data on a regular basis and a disaster management facility. 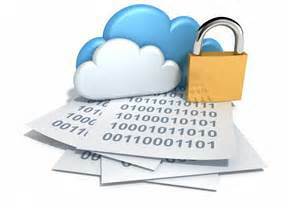 * Local encryption and decryption of files so that they are stored safely on the cloud. * Access to your data and applications anywhere in the world, whether you are on the road, in a hotel, or at a conference. In fact, anywhere there is a Wi-Fi or internet connection. There’s no doubt the benefits of cloud storage far outweigh any negatives. Whilst security and file backup is an issue, finding the right provider means that you can be sure you are getting the best service and that all bases are covered. That means asking the right questions, doing the research, and, of course, reading the user agreement carefully. Stay Informed On Latest Tech News – If you found this article interesting and informative, please visit us for more at SourceTech411 .